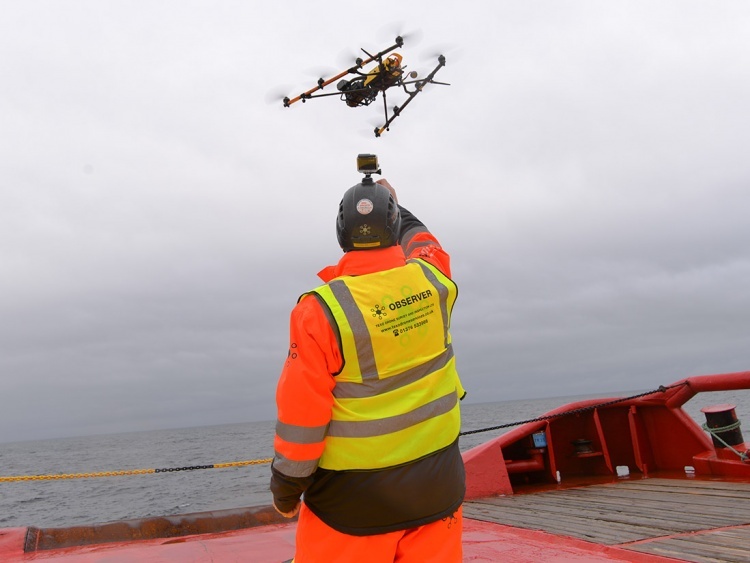 SFF Services Limited (SFFSL), commercial division of the Scottish Fishermen’s Federation (SFF), has today announced a strategic joint venture with Texo DSI (UKCS), the dedicated offshore division of Texo Drone Survey and Inspection Limited, the owner operators of the world’s most advanced fleet of unmanned aerial vehicles (UAV) for industrial survey and inspection. This unique joint venture will see Texo DSI (UKCS) incorporate specific and innovative UAV inspection applications into SFFSL’s portfolio of vessel services to offshore industries. These have been deployed in tandem with the company’s other service lines including Close Visual Inspection, Thermographic and Internal UAV inspection. Drone deployment is a dynamic new addition to the SFFSL service offering. Texo DSI is currently developing novel UAV integrated solutions for a number of additional world firsts, including: Microwave sensor and ACFM & Phased Array (for weld fatigue). Further details of these will be announced later in the year. SFFSL and Texo DSI looks forward to developing this exciting offering in the coming months.